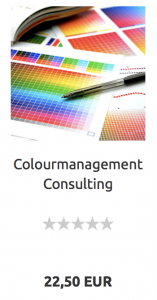 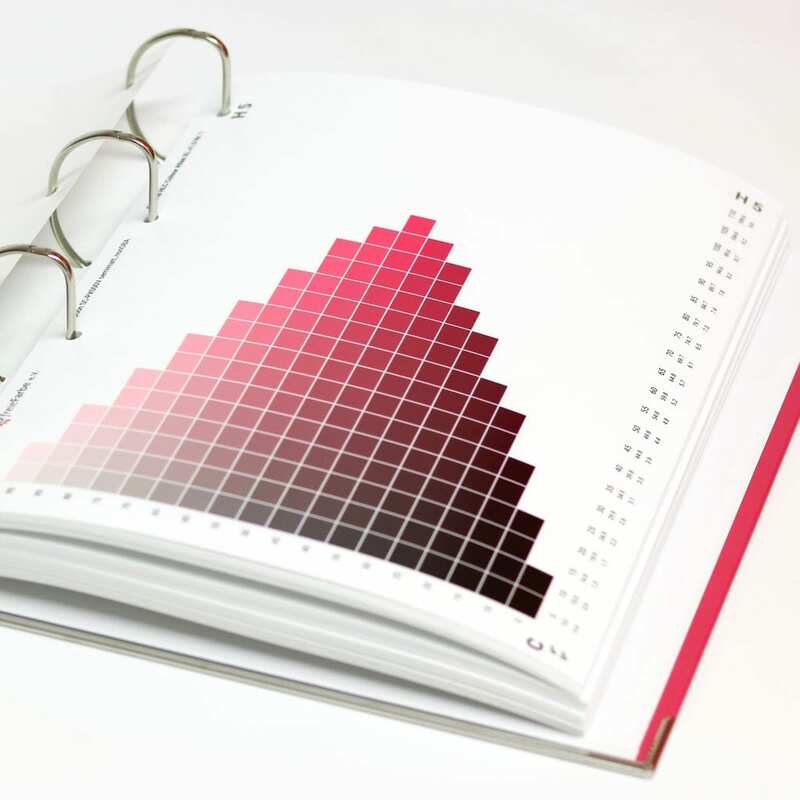 Current proofing systems can reproduce spot colors such as HKS or Pantone very well. 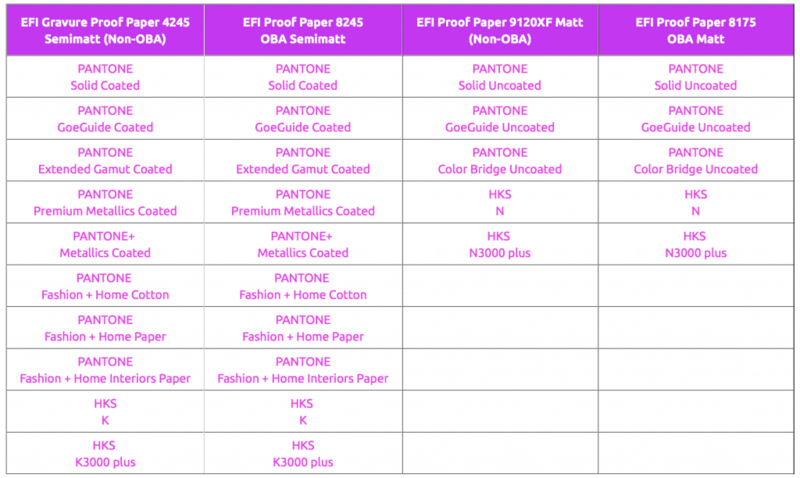 With the Fiery XF 6.5.2 proofing software and the Epson SureColor-P9000V Spectro proof printer, we have evaluated the color deviation in Delta-E00 with which the various PANTONE and HKS colors can be proofed. 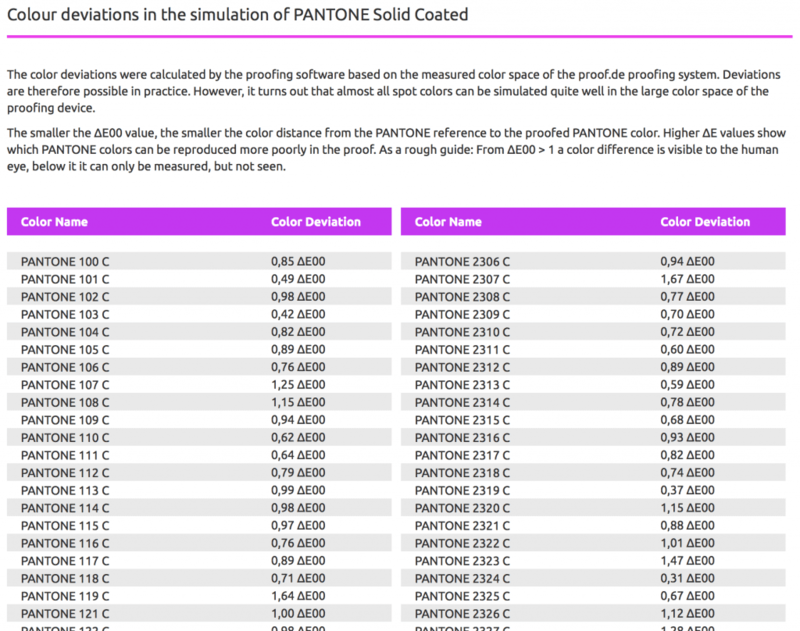 On shop.proof.de, the tables are now available for all important PANTONE and HKS color systems, sorted by color fans. 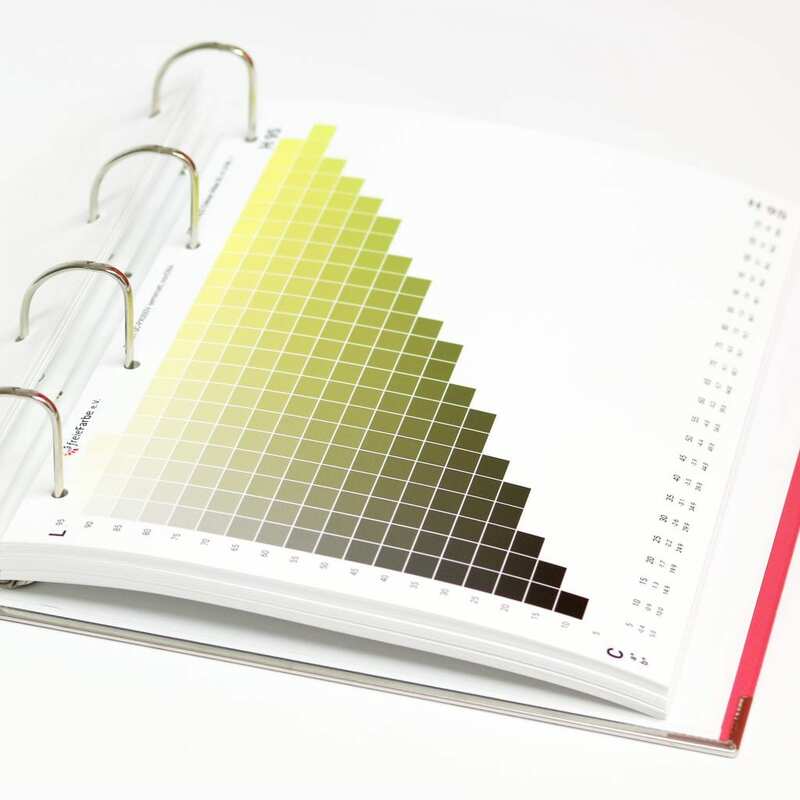 A distinction is made between the proofing substrates that we use, since the surface texture and the paper white also have an influence on the representability of the colours. 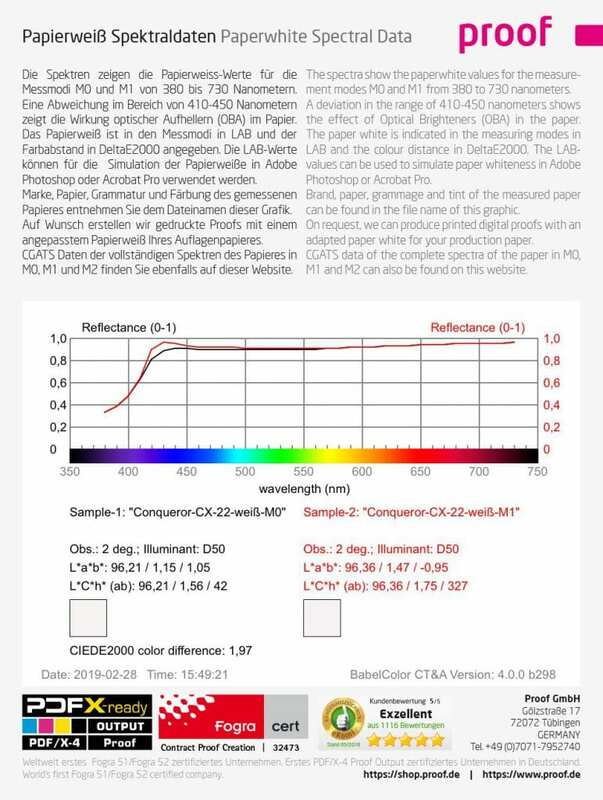 The color deviations were calculated by the proofing software on the basis of the measured color space of the proof.de proofing system. 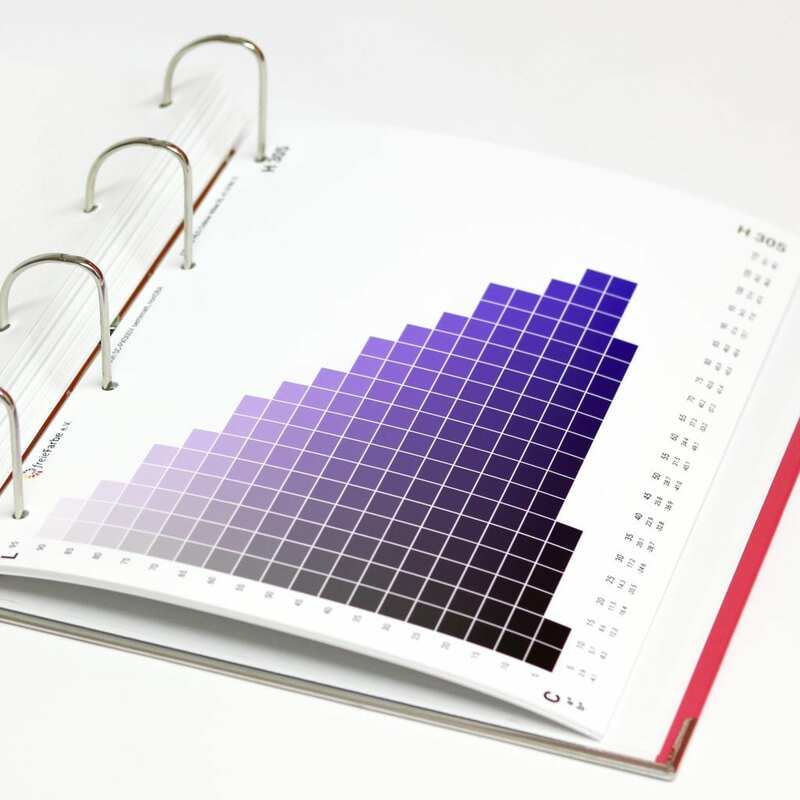 Deviations are therefore possible in practice. 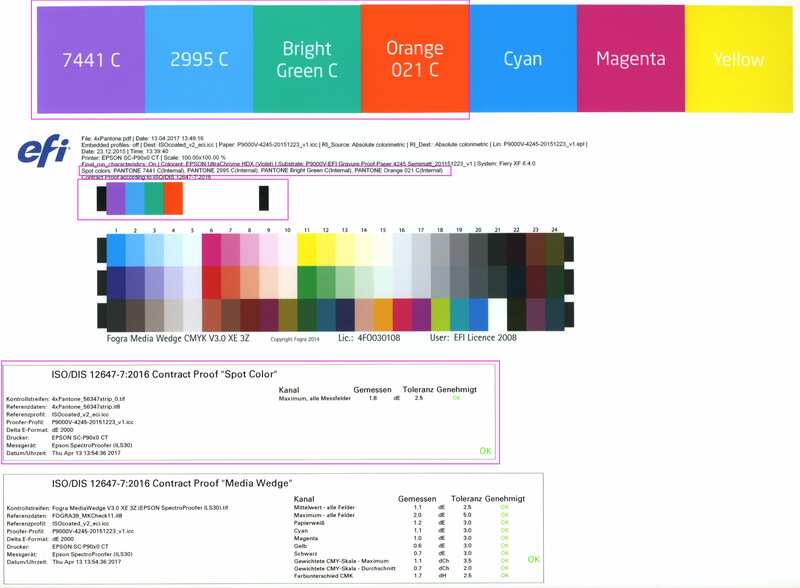 However, it turns out that almost all spot colors can be simulated quite well in the large color space of our proofing devices. 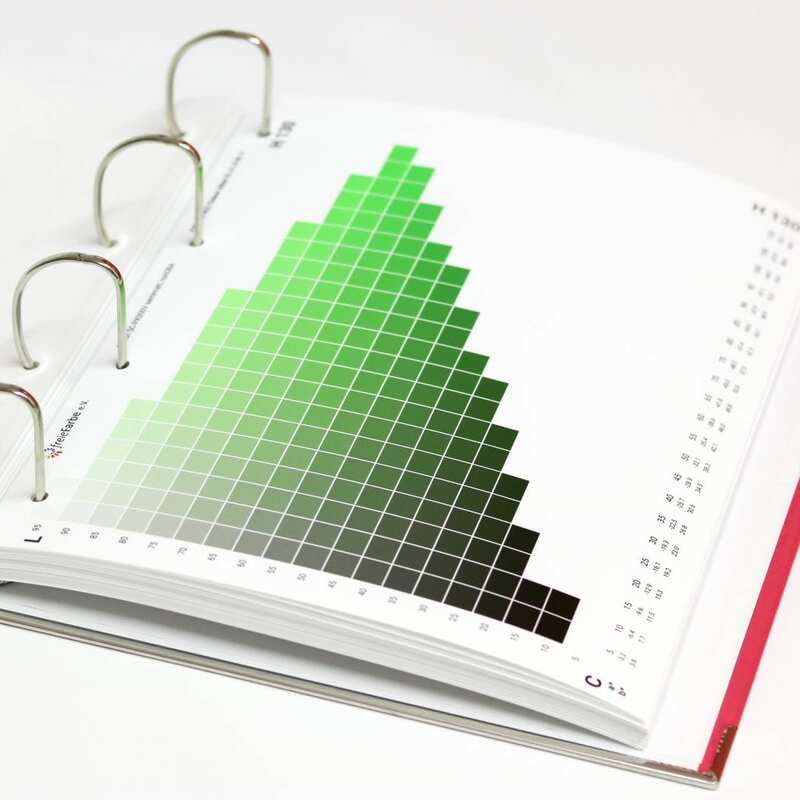 The smaller the ∆E00 value, the smaller the color distance from the spot color reference to the proofed color. 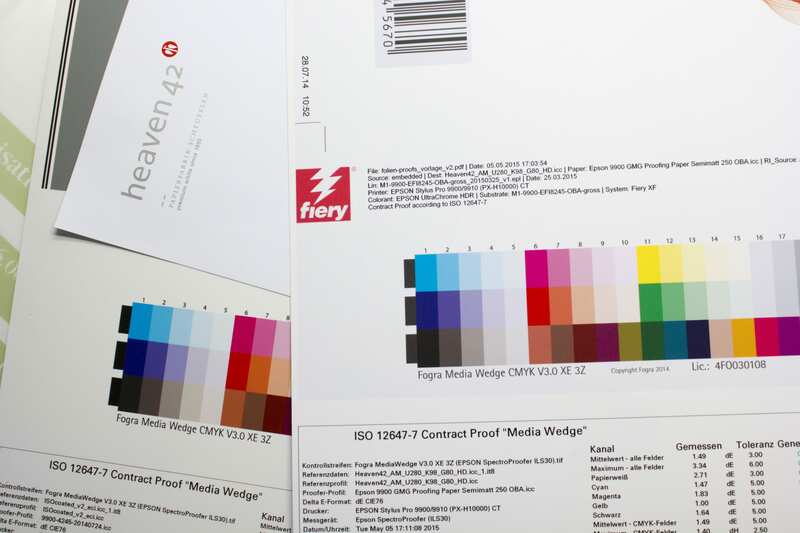 Higher ∆E00 values show which colors can be reproduced more poorly in the digital proof. 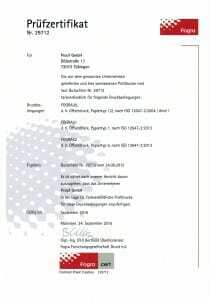 After almost a year of work the time has finally come. 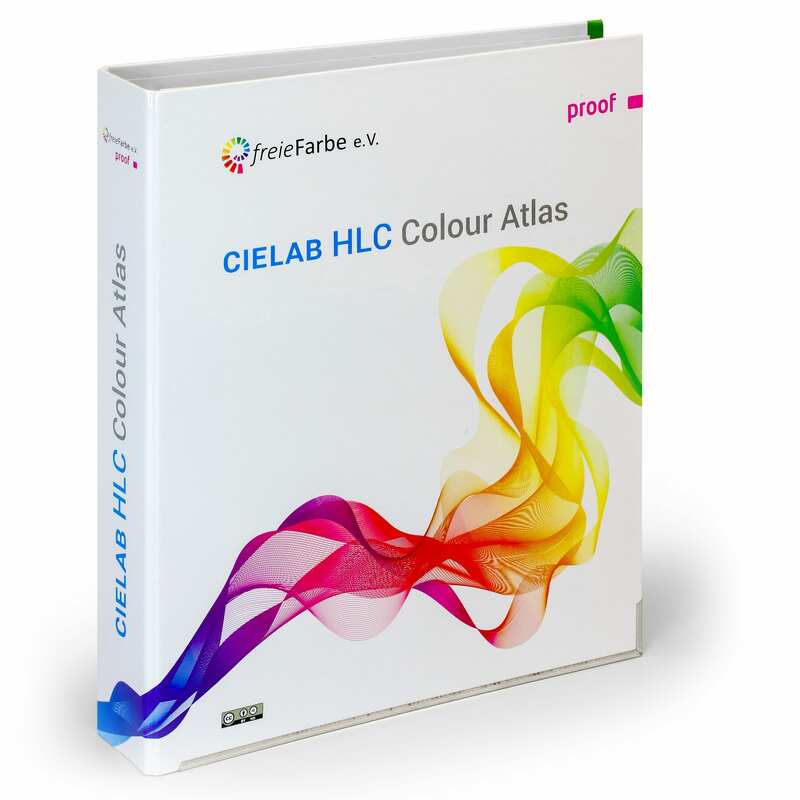 The CIELAB HLC Colour Atlas XL saw the light of day. 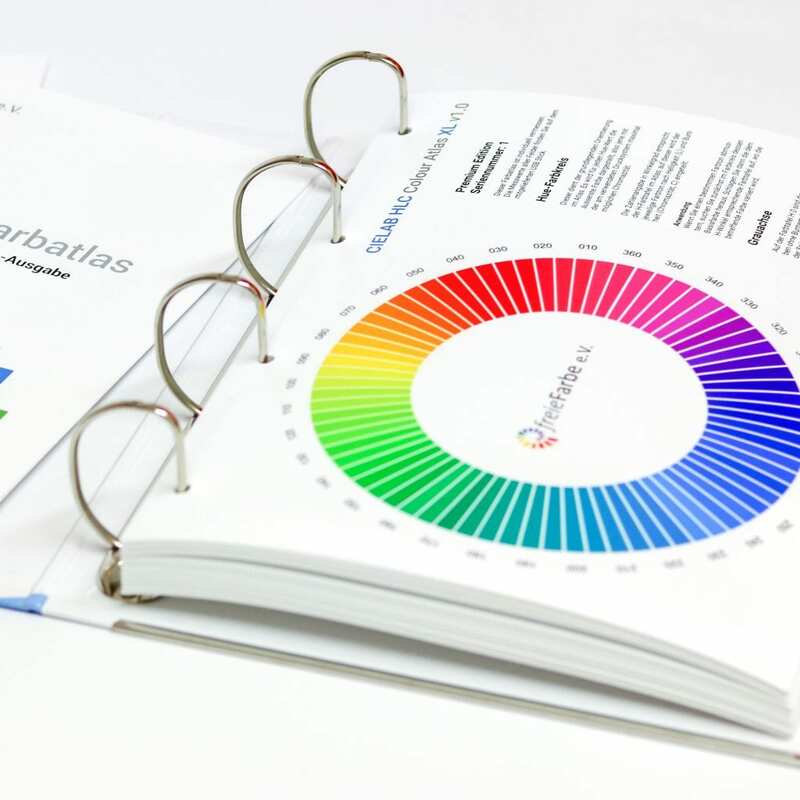 The new HLC Colour Atlas XL is the basis for all stages of professional colour communication – from design to the finished product. 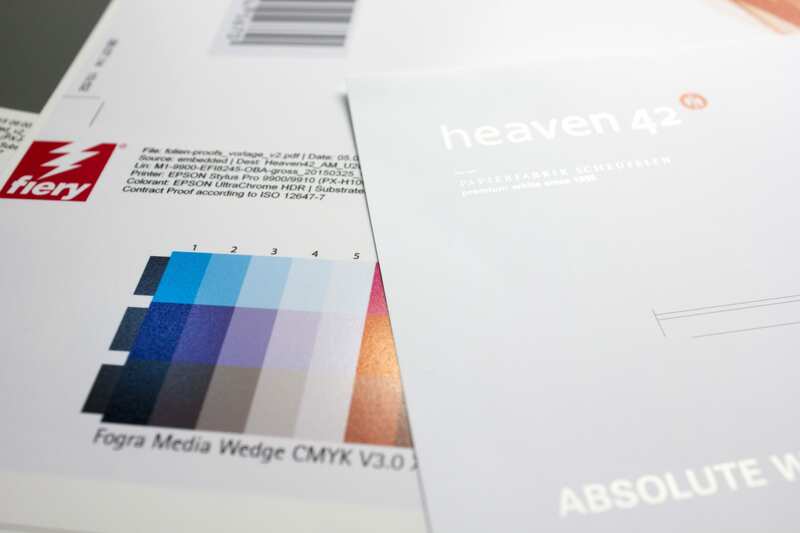 The standard version contains 2040, the new XL version even 13283 mathematically-systematically graded CIELAB colour tones on 74 pages. 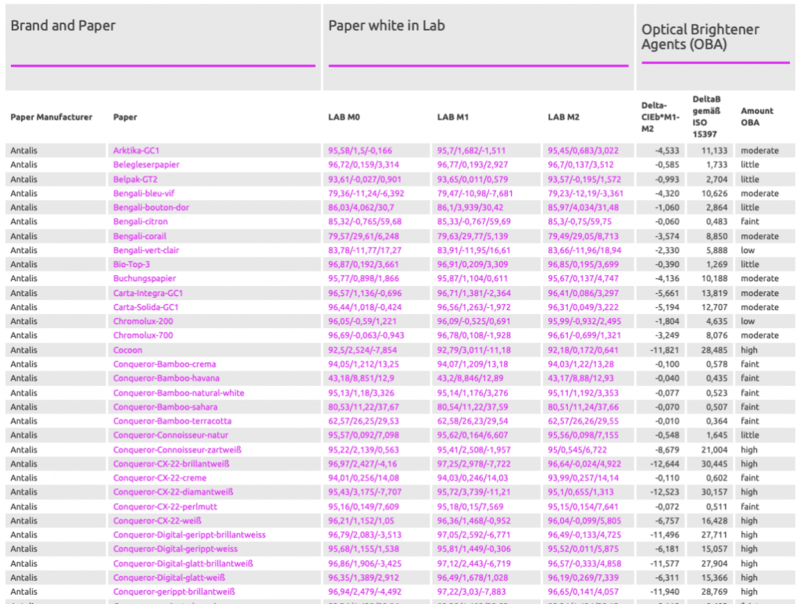 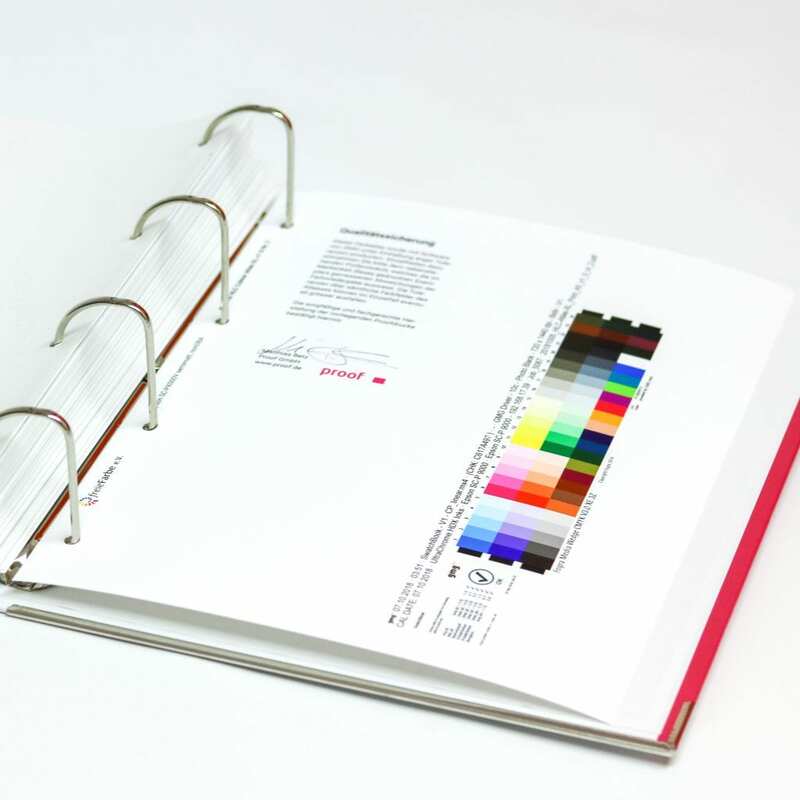 The free file package contains the layer PDF version with several gamuts for the analysis and research of colors, as well as the spectral data (380-730 nm) of all color tones for recipe software, an Excel table with the measured values and spectra as well as color value tables for all common CMYK color spaces and sRGB. 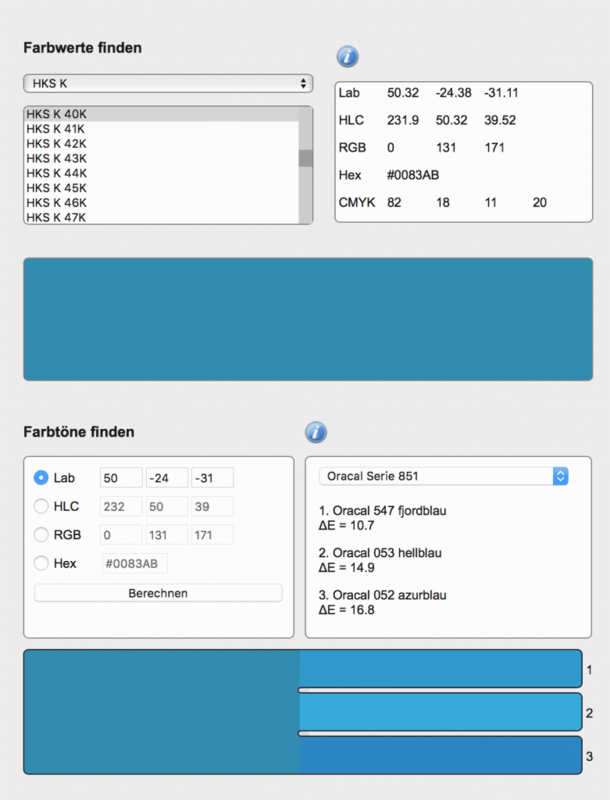 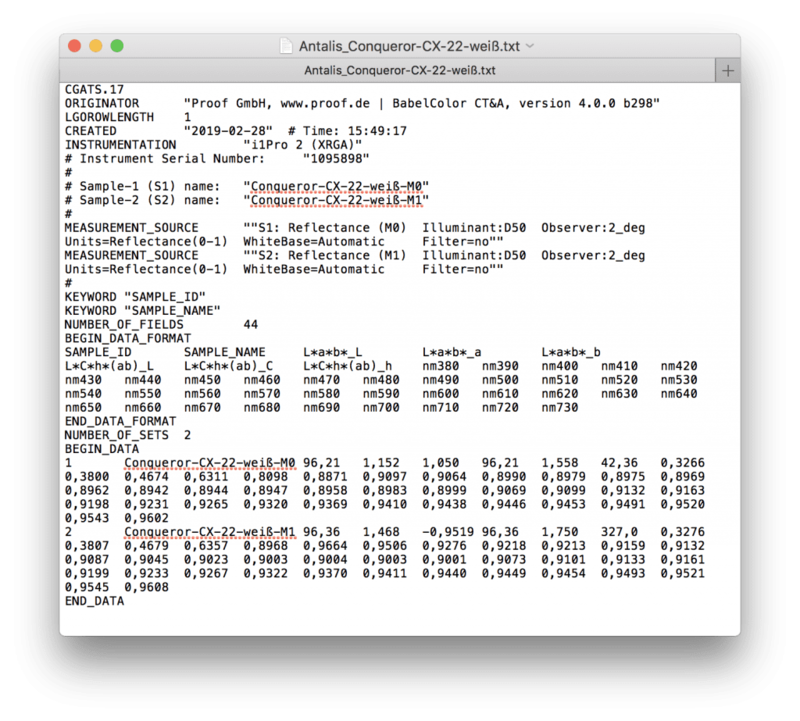 All files are available for free download under a CC license. 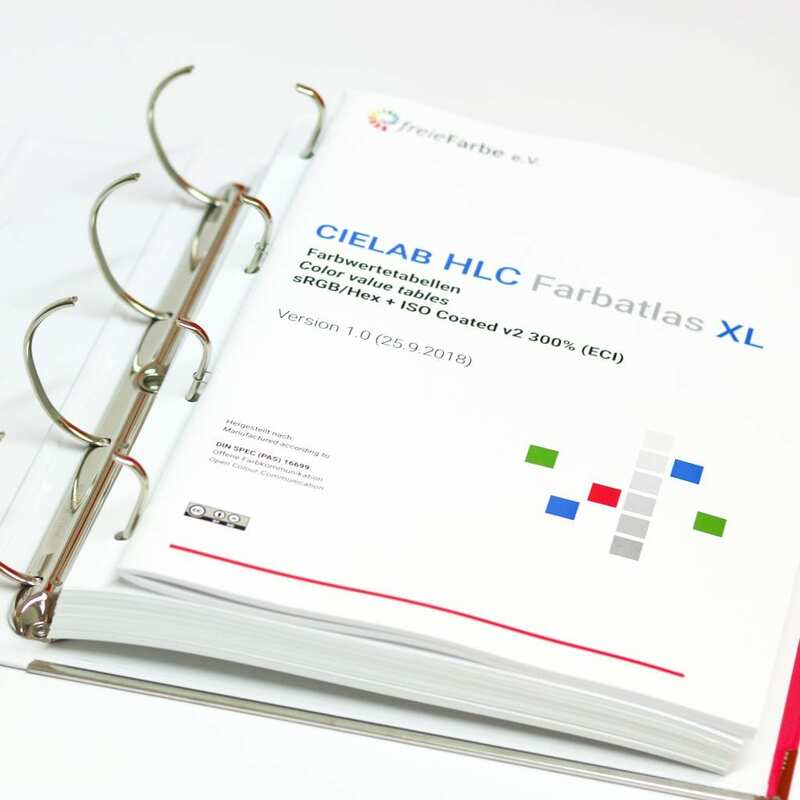 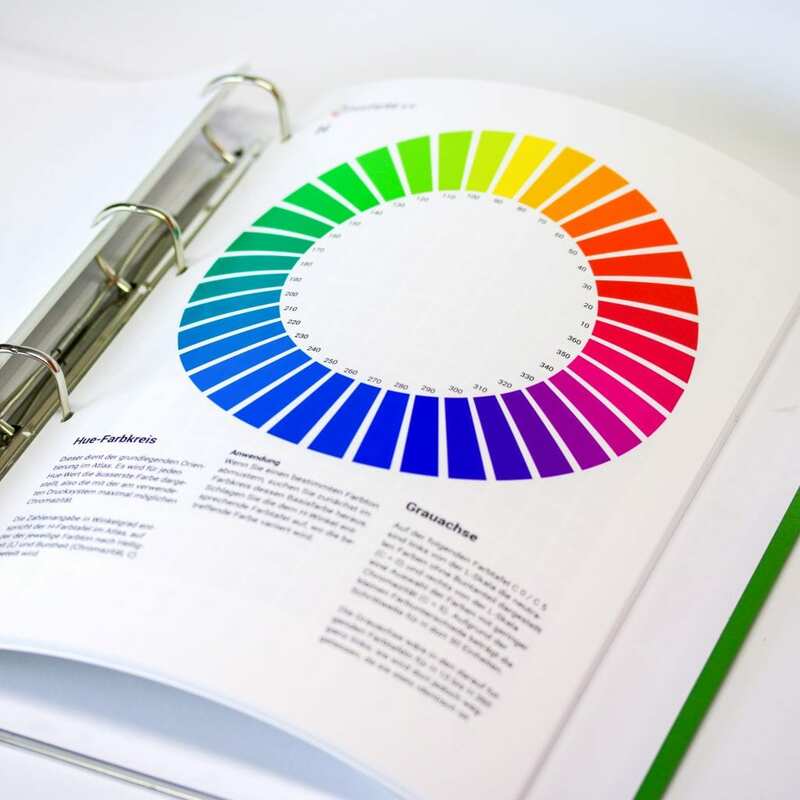 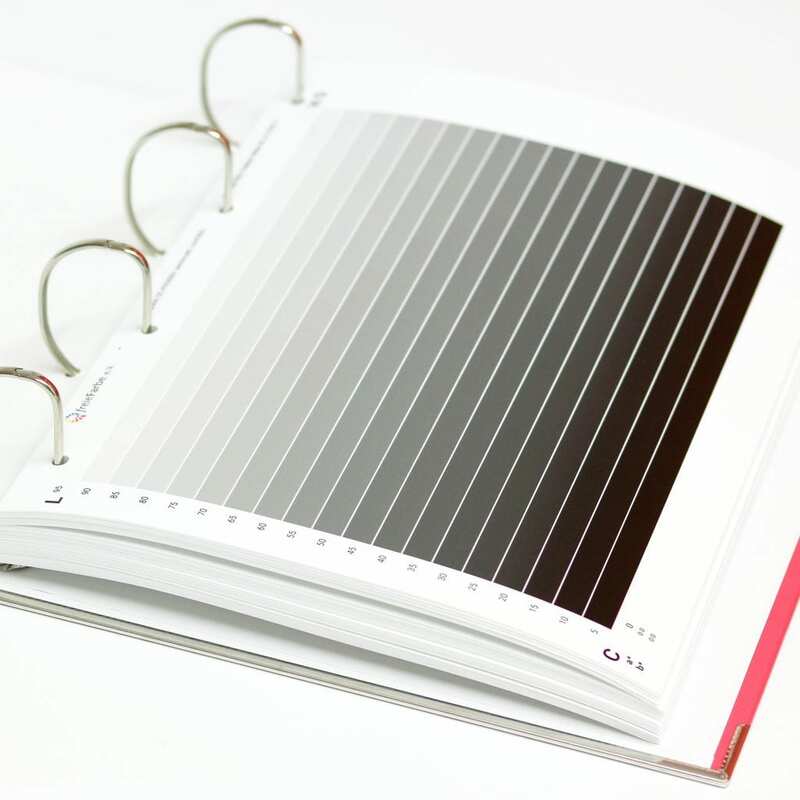 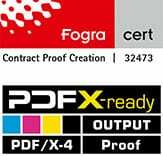 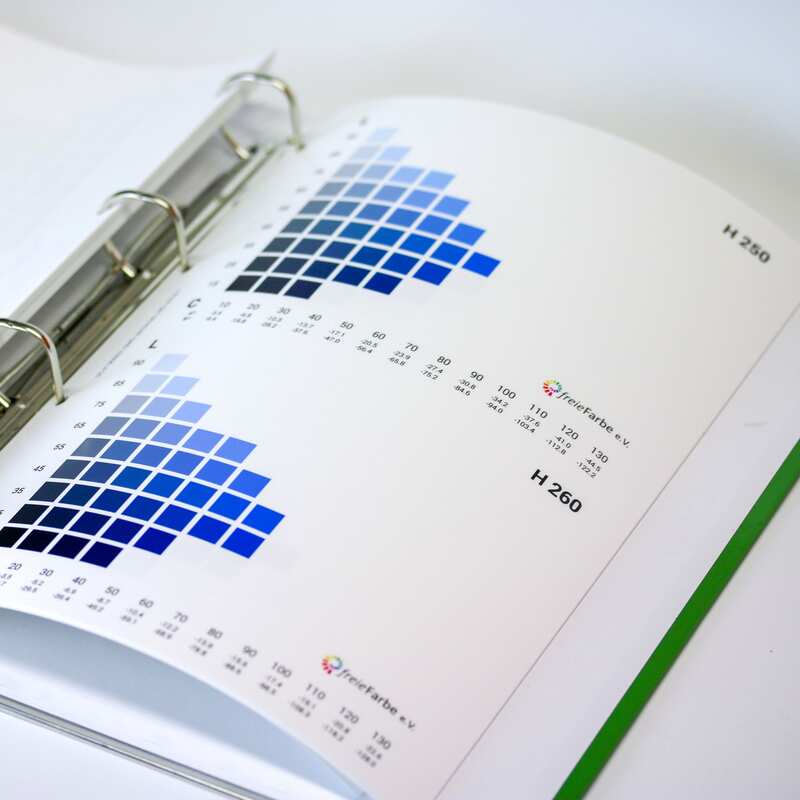 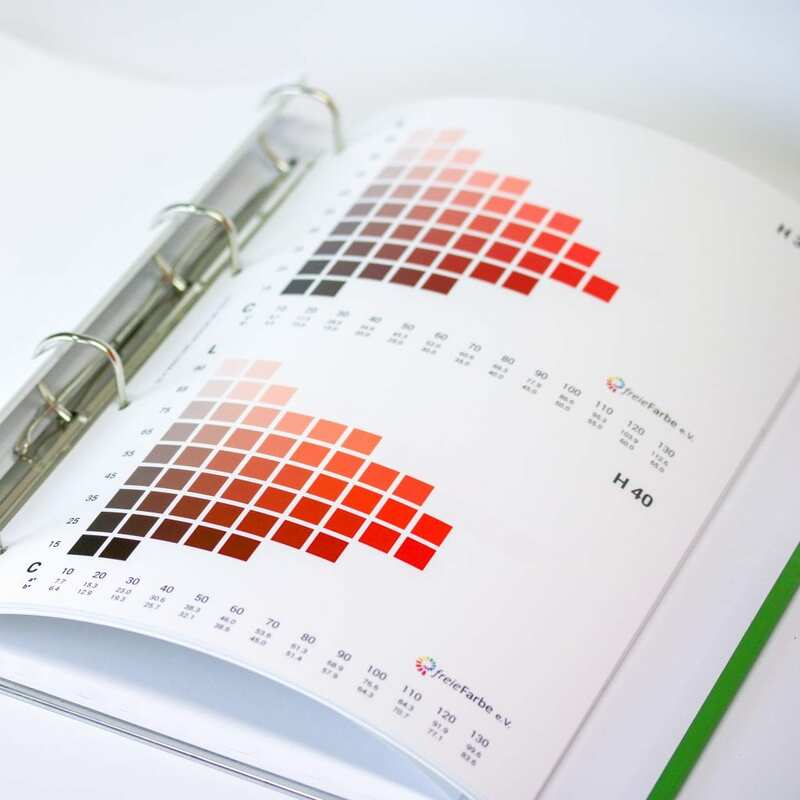 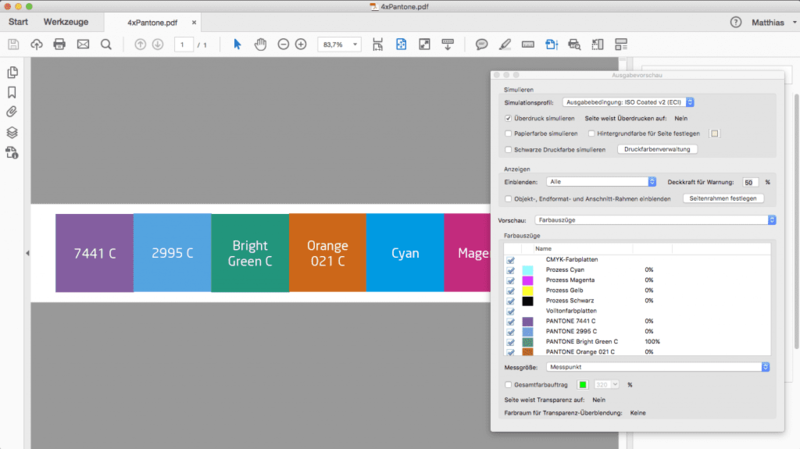 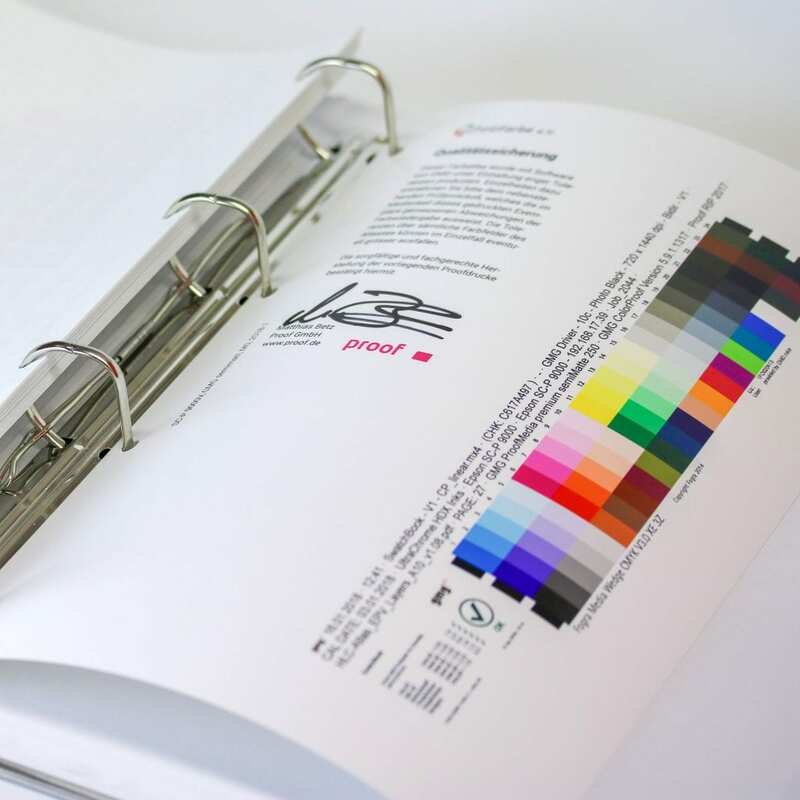 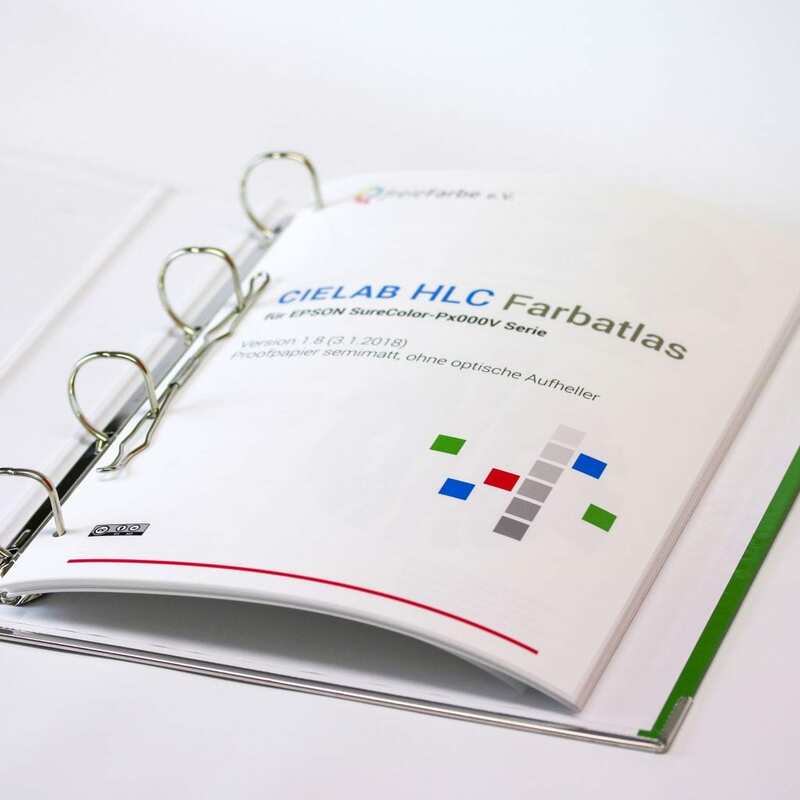 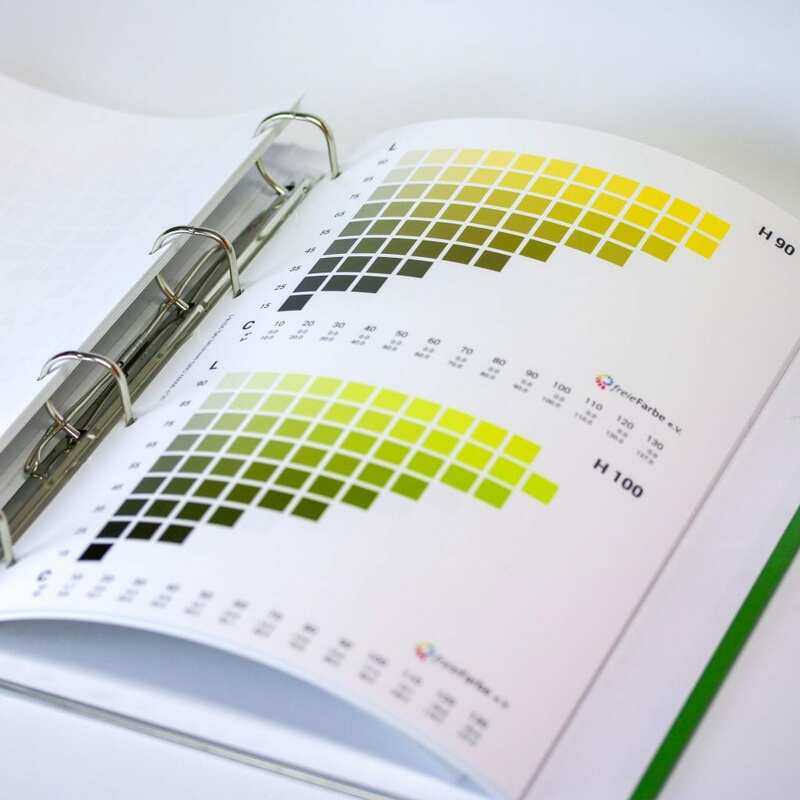 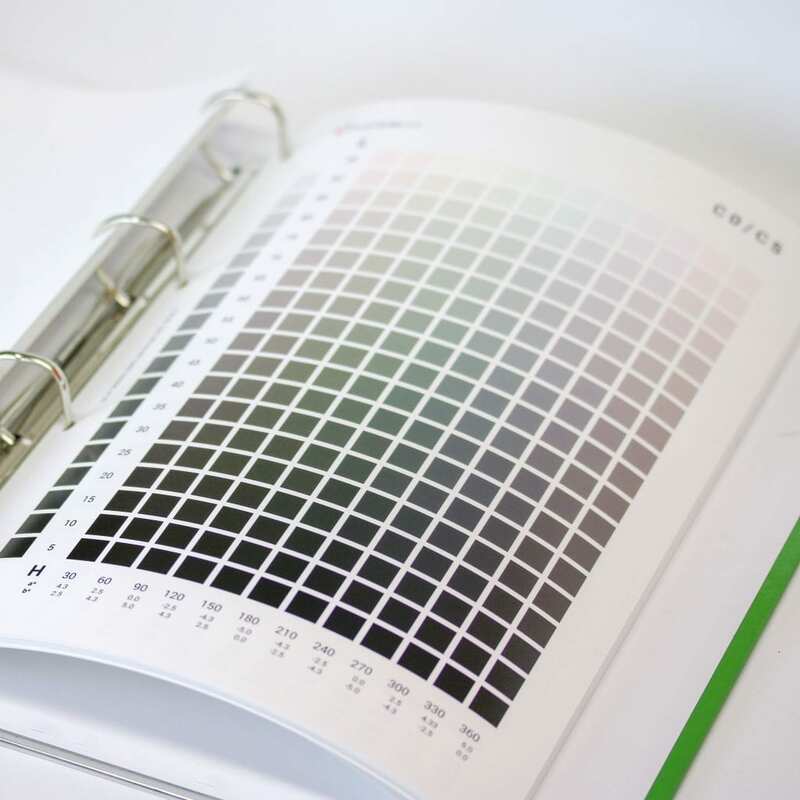 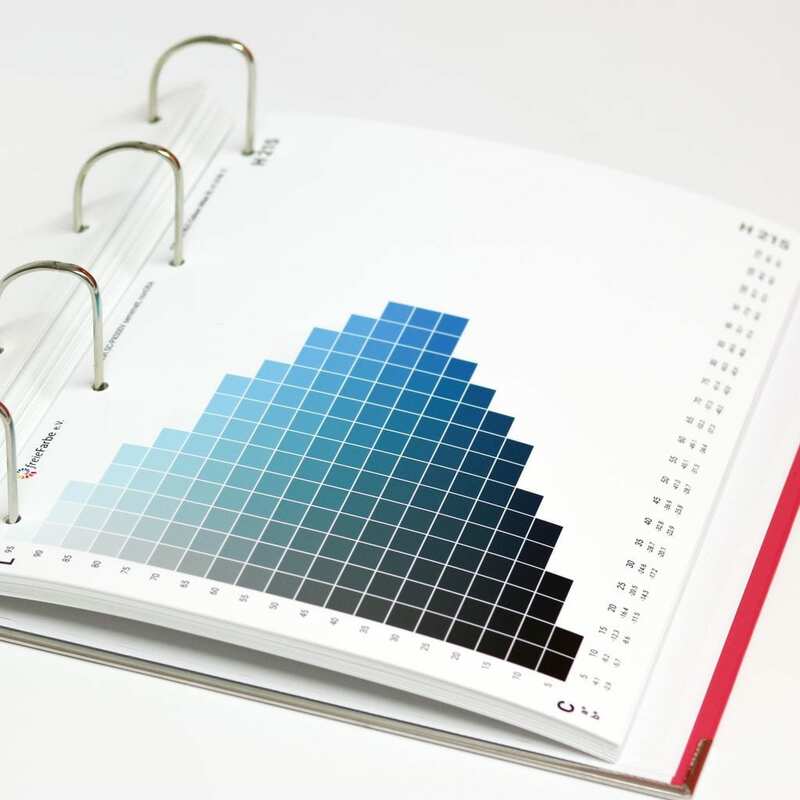 Only the HLC Color Atlas XL printed by Proof GmbH is subject to a fee, as production is very labour-intensive and cost-intensive. 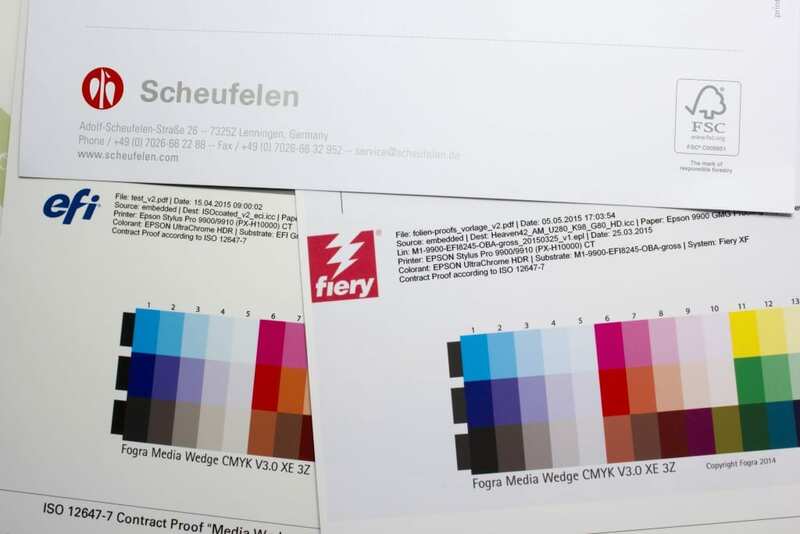 We at freieFarbe e.V. 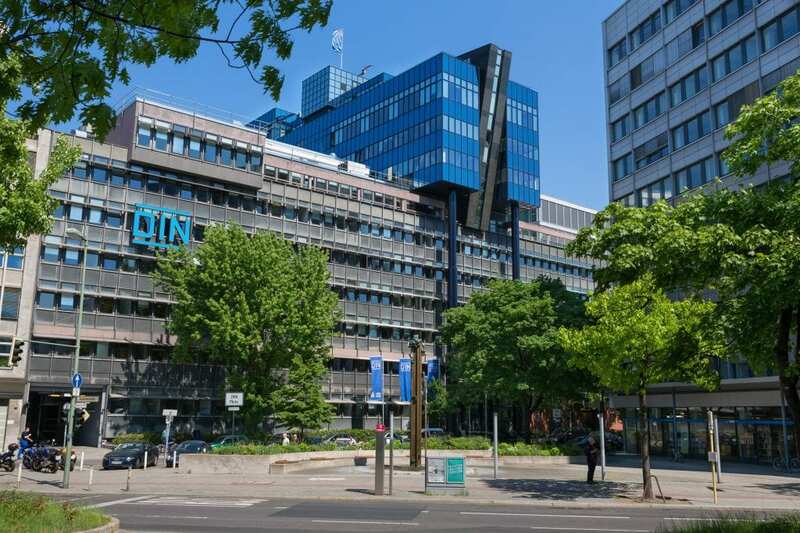 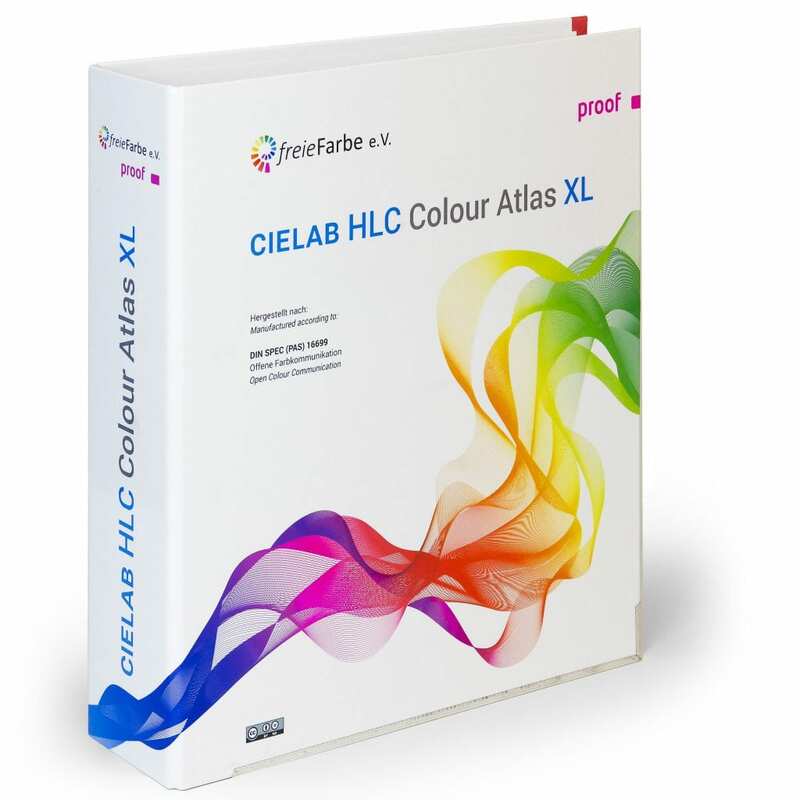 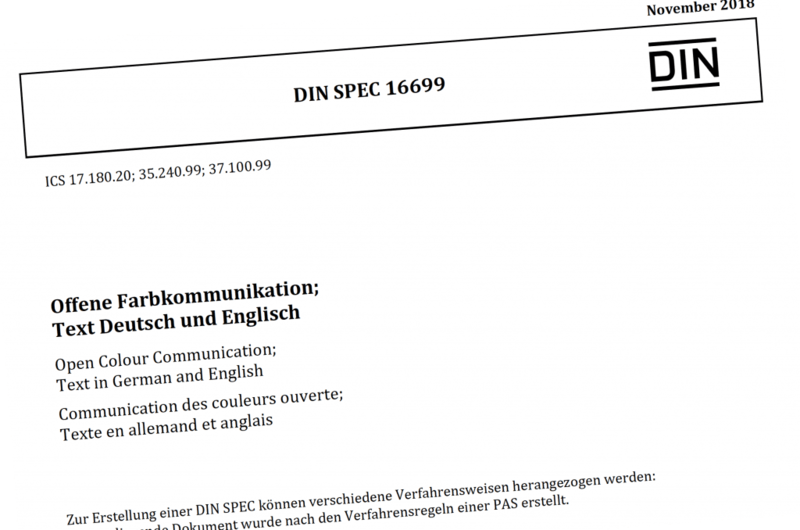 and Proof GmbH see the “CIELAB HLC Colour Atlas XL” as a genuine, transparent and high-precision alternative to the hundreds of proprietary colour systems, which often make fast and precise cross-media communication in design and production very difficult.